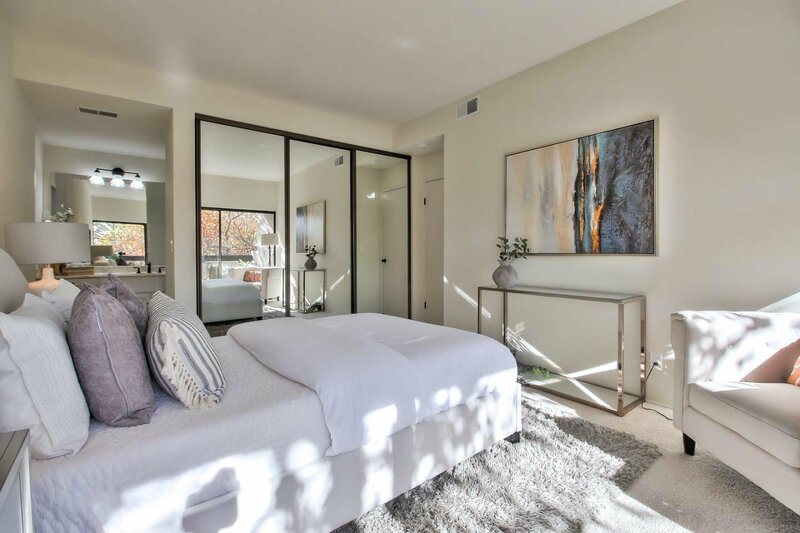 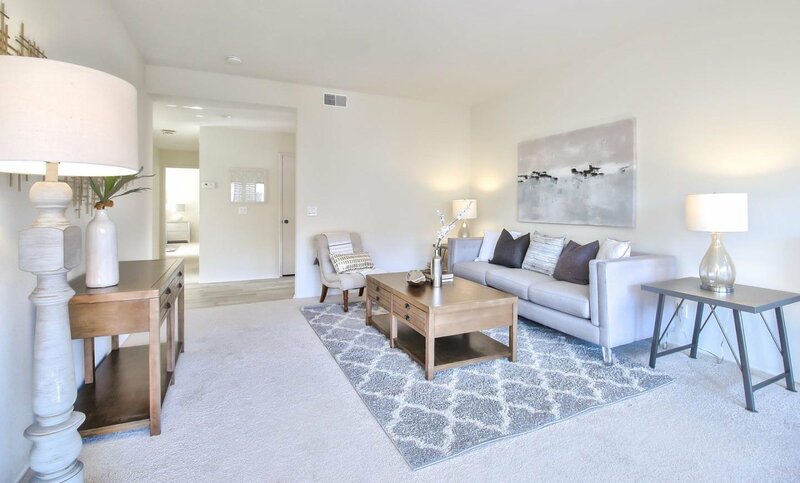 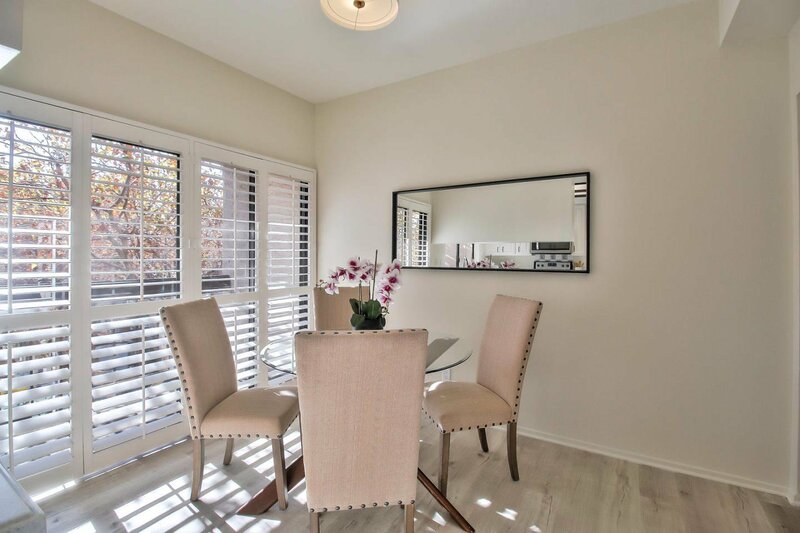 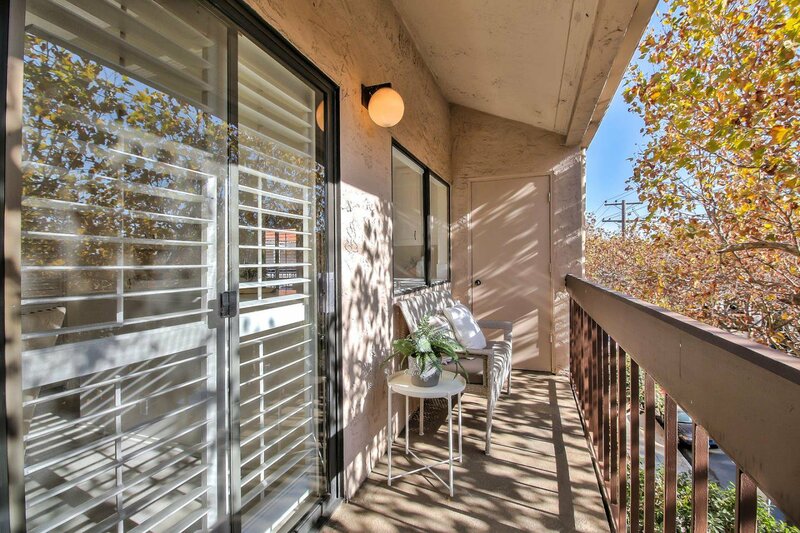 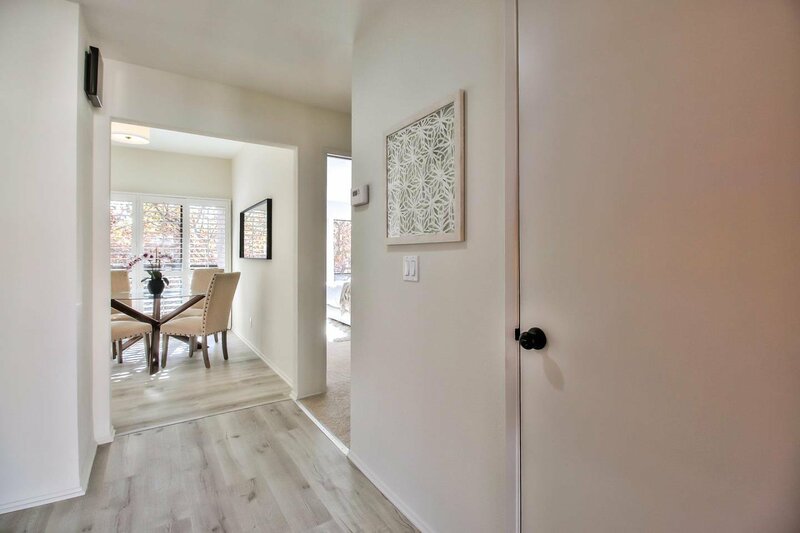 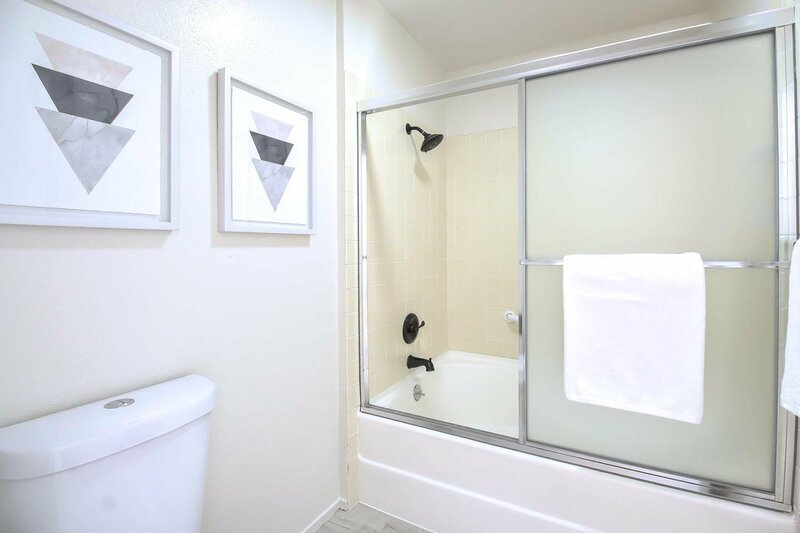 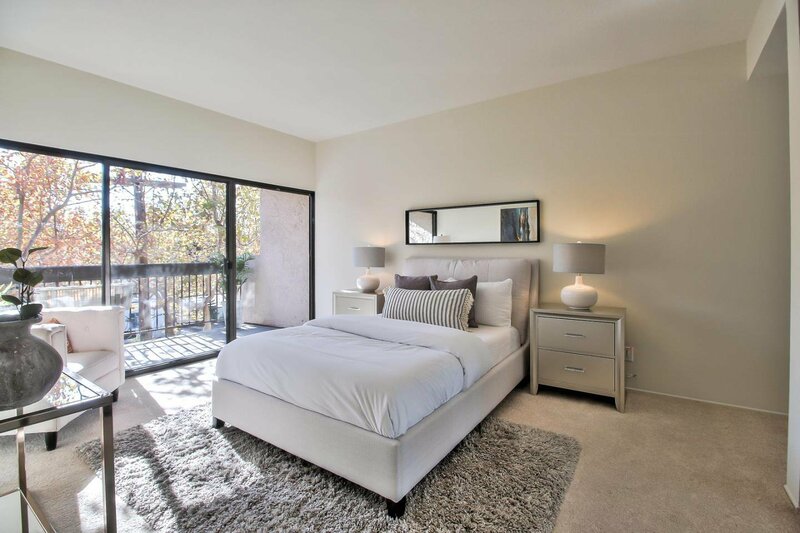 Tastefully updated with virtually all new flooring, new kitchen appliances and new paint, this light-filled unit is a crisp and modern compliment to a more established setting. 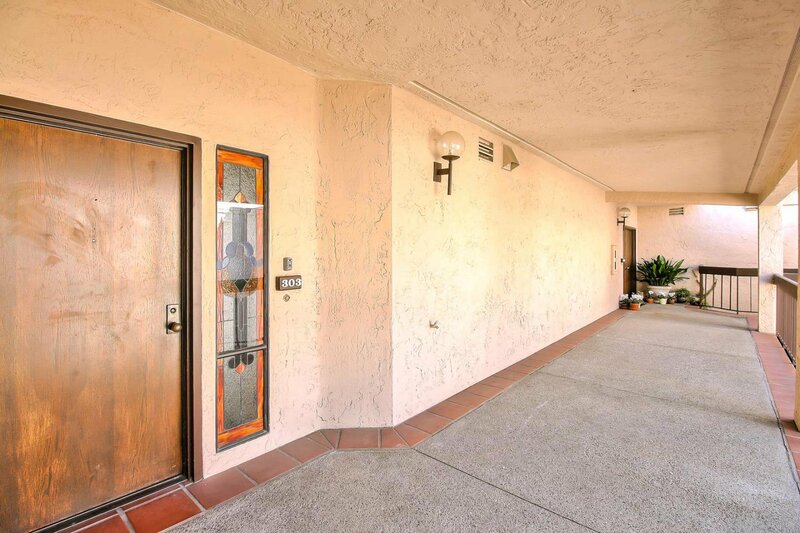 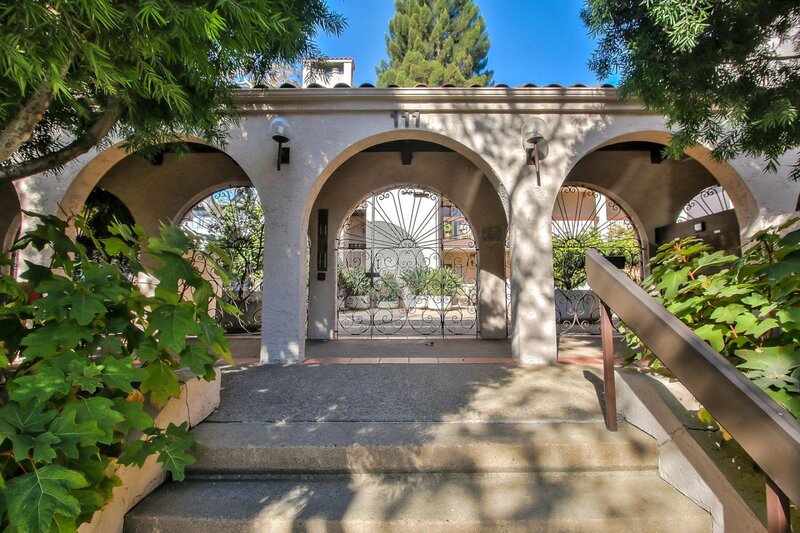 Vaulted ceilings and mostly south-facing glass doors and windows open up to a large private balcony. 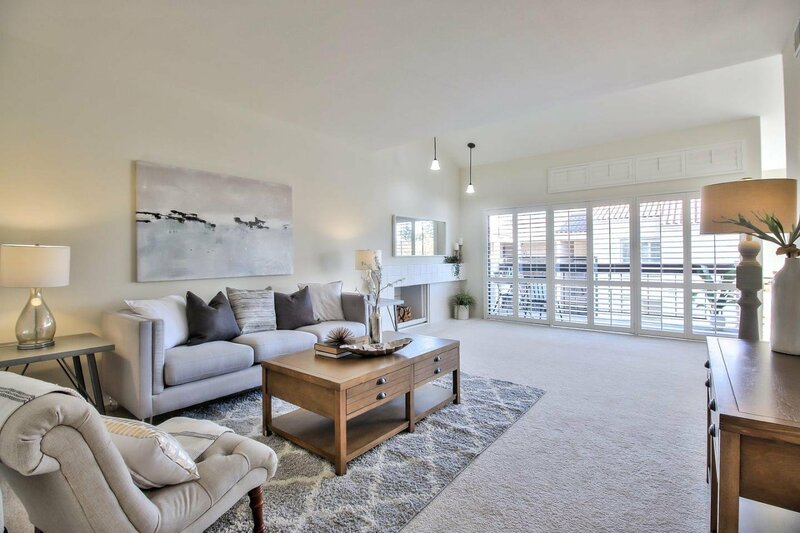 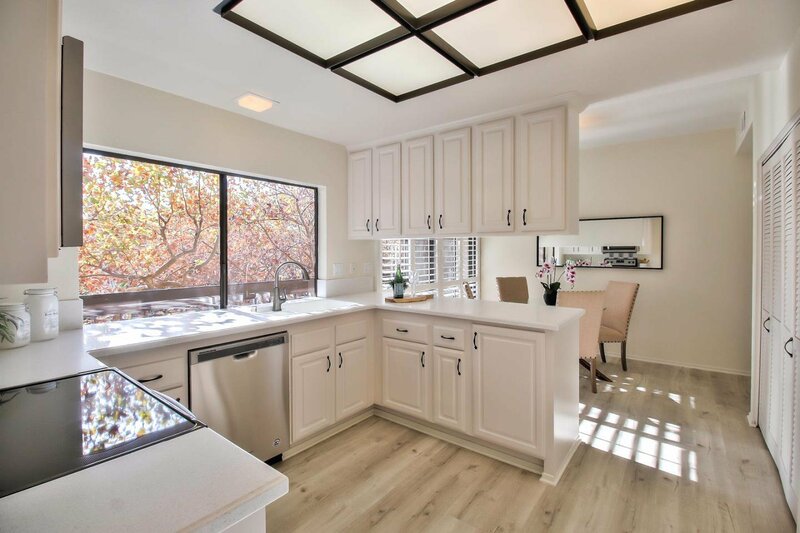 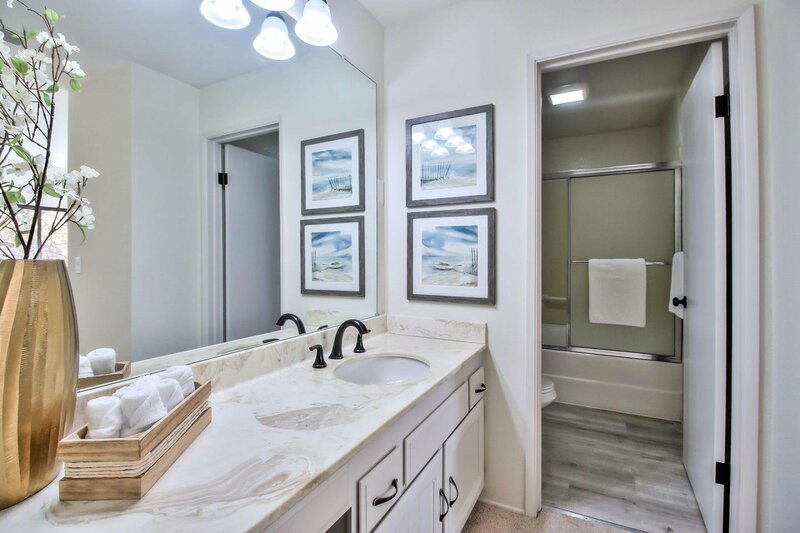 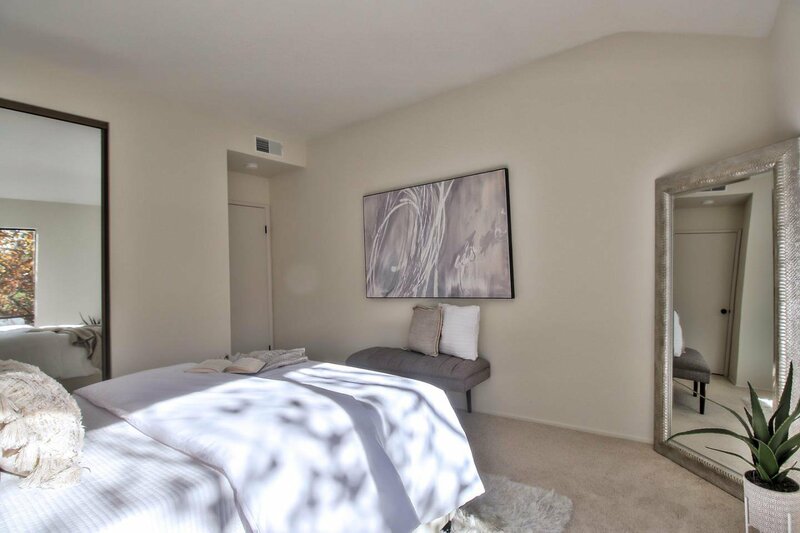 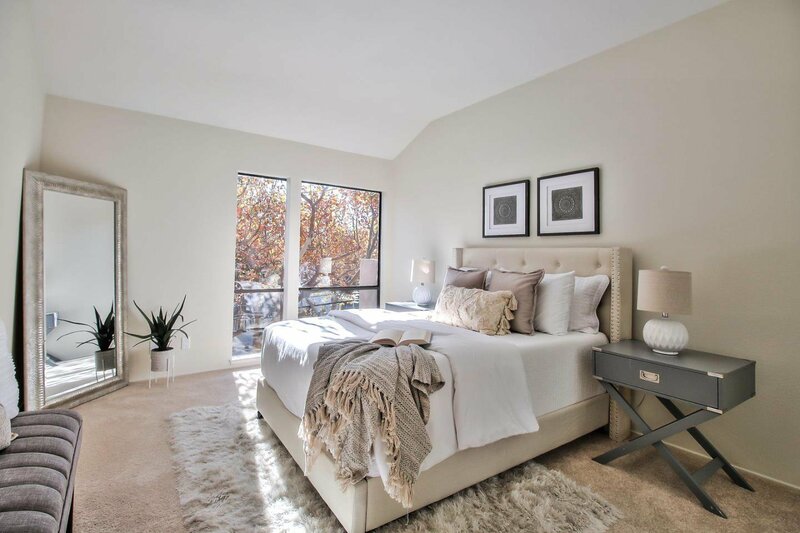 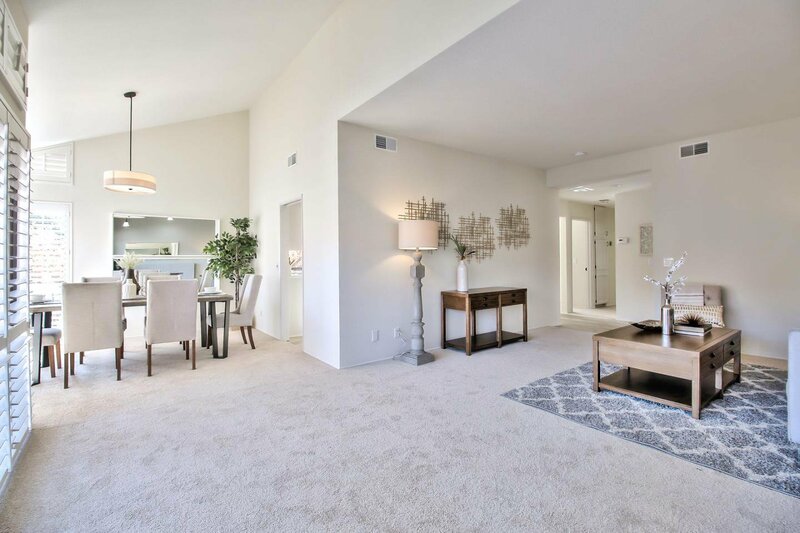 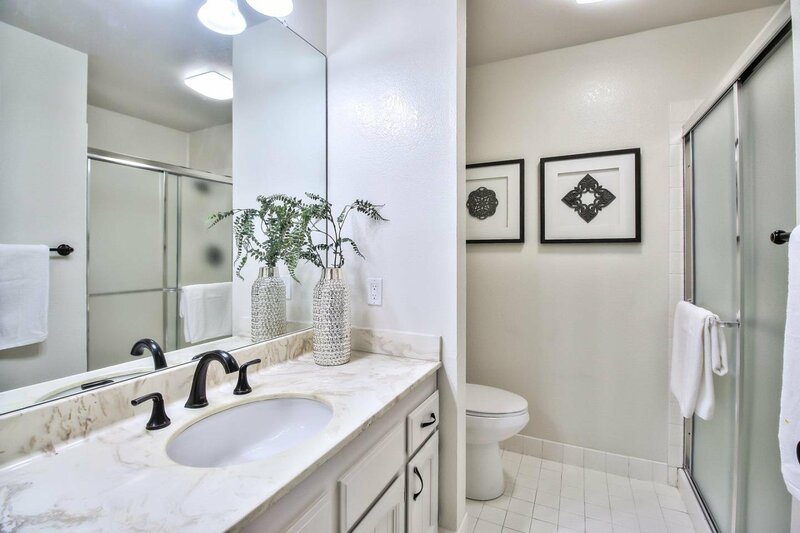 Also accented by light countertops and cabinetry plus a wood-burning fireplace, this private unit features two-bedrooms and baths, two separate dining areas and garage parking. 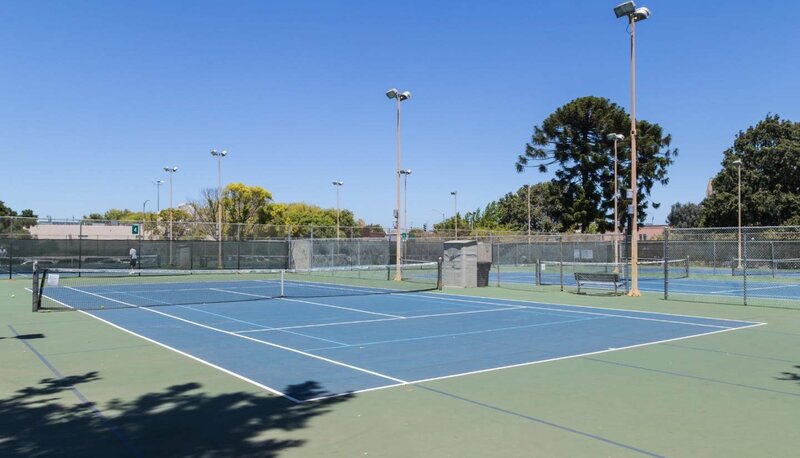 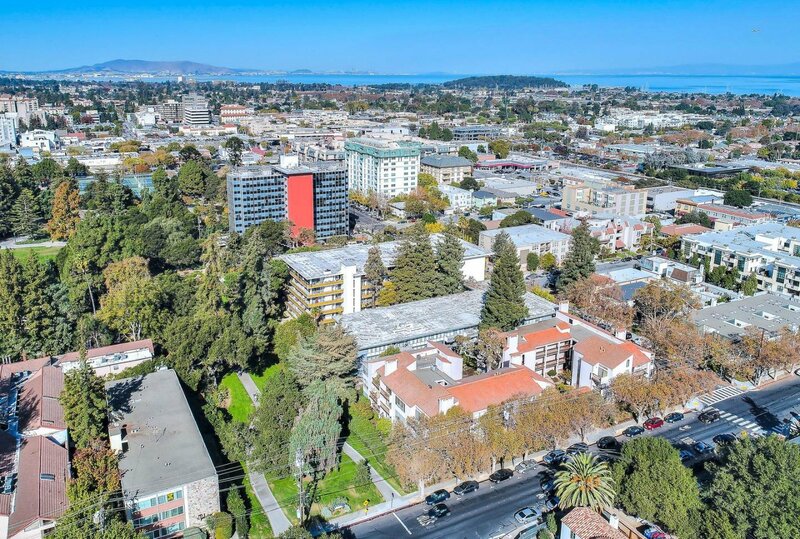 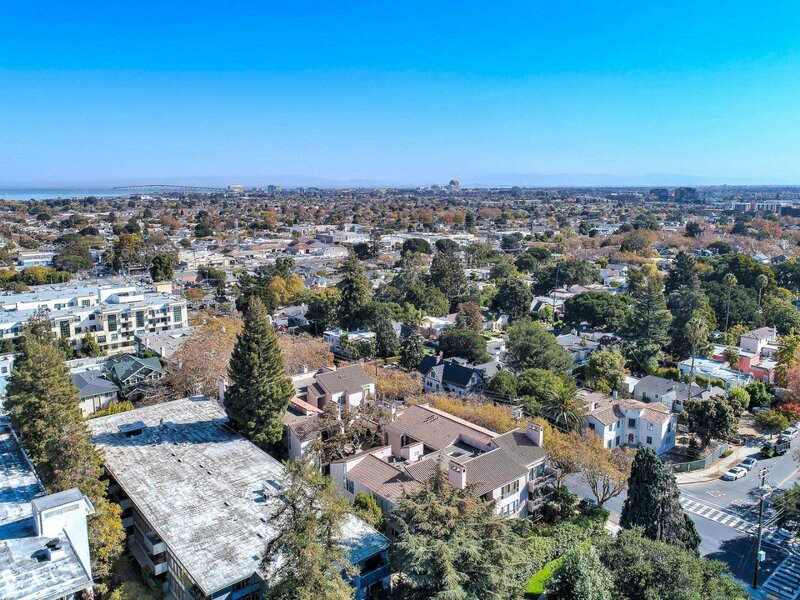 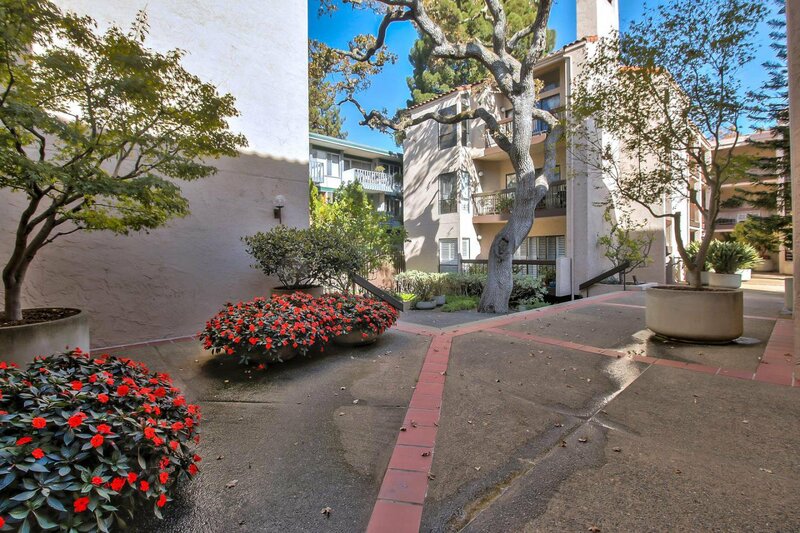 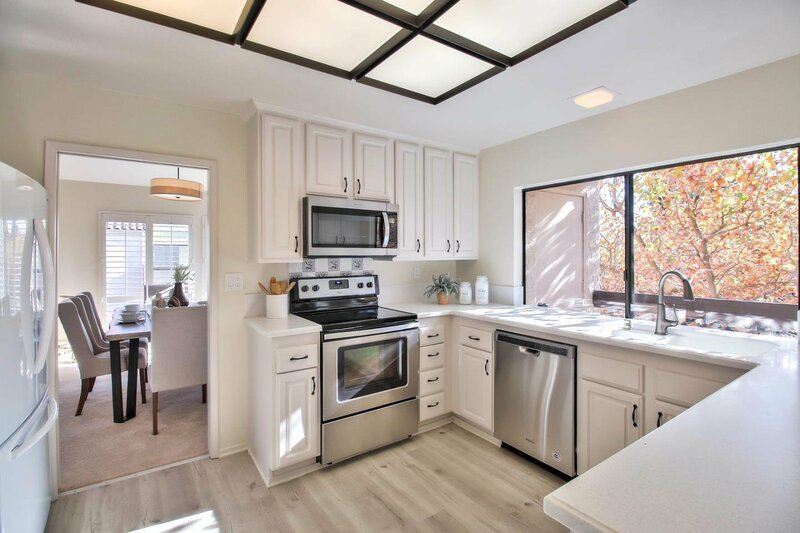 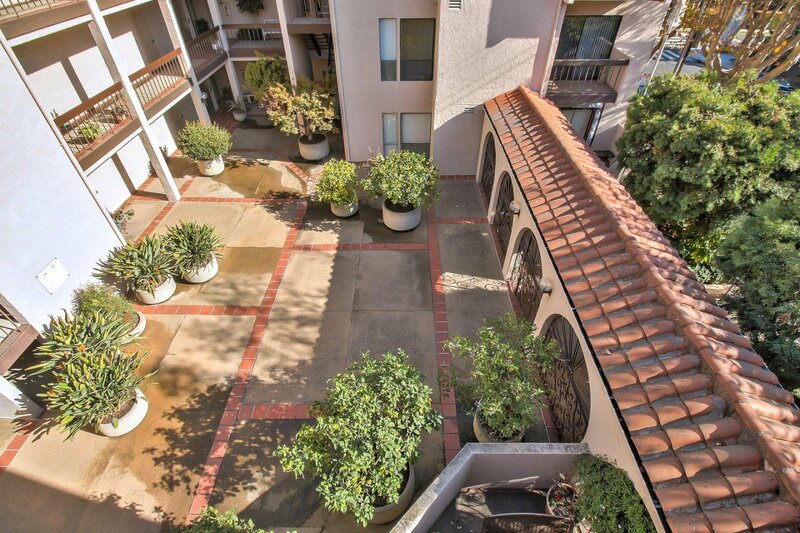 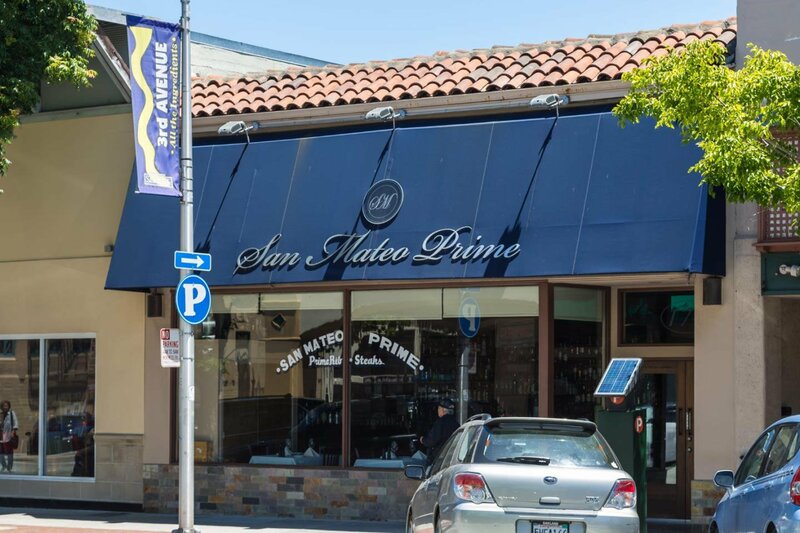 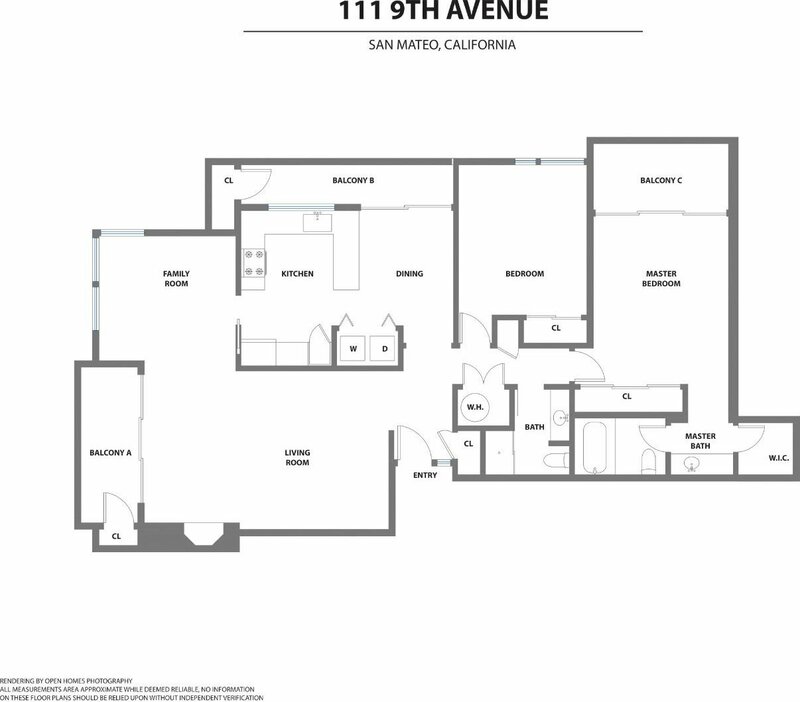 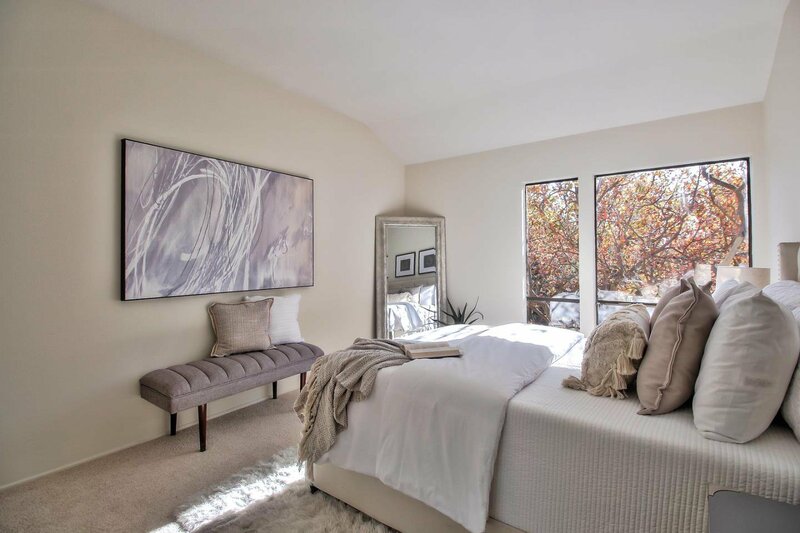 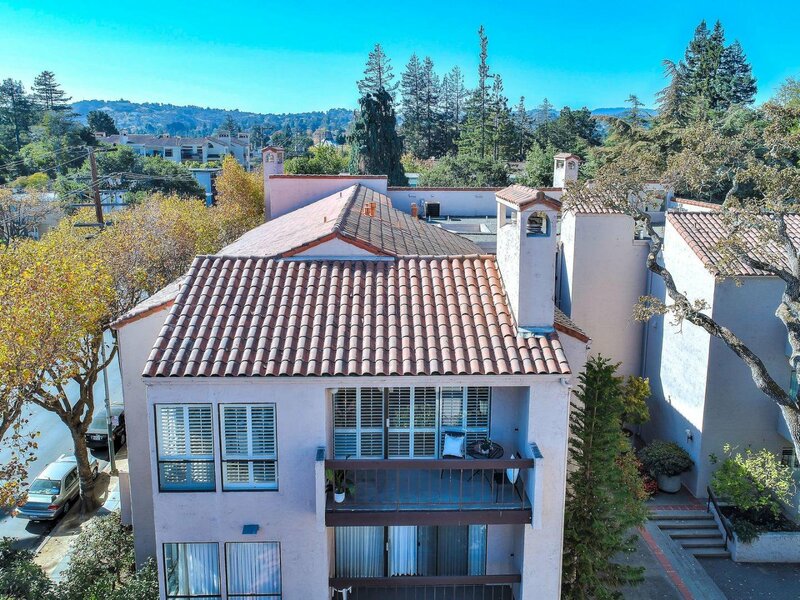 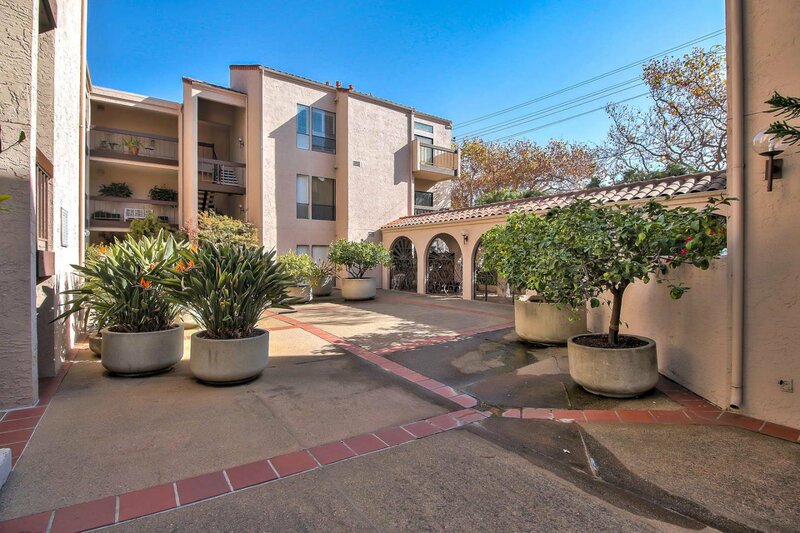 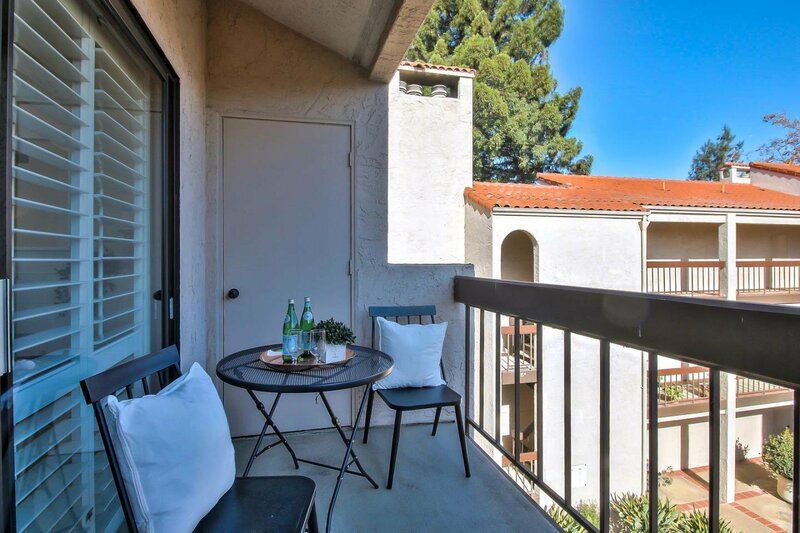 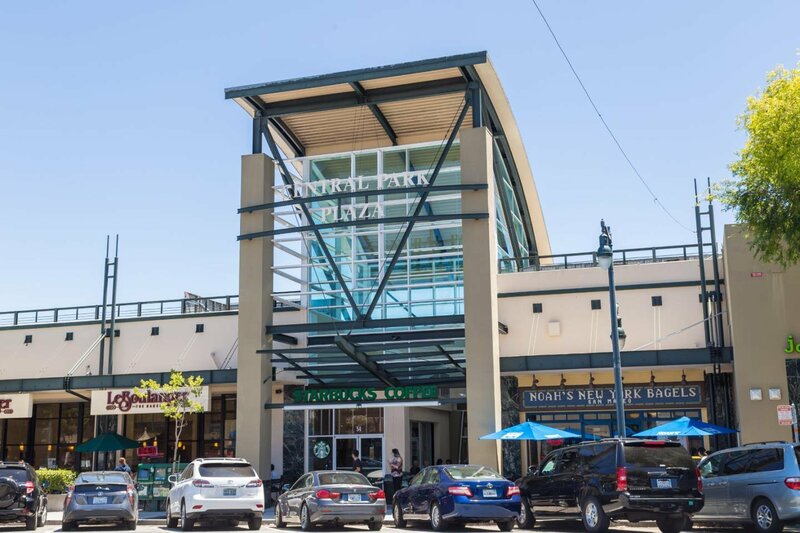 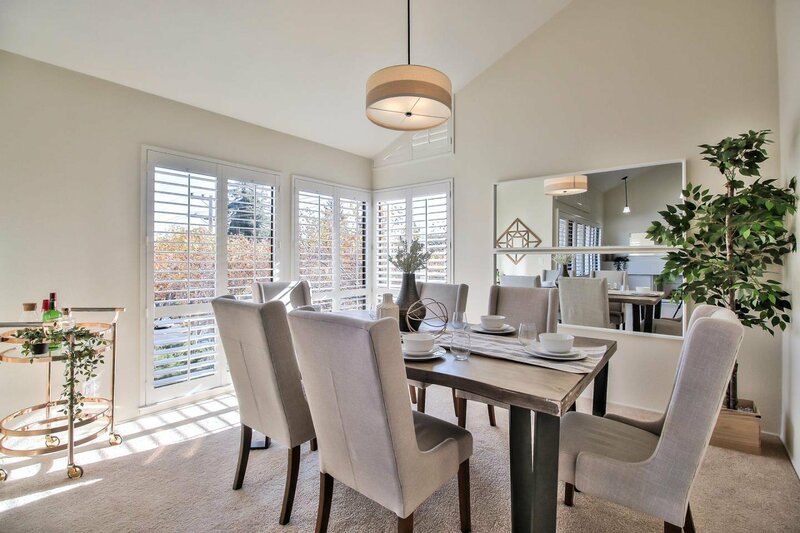 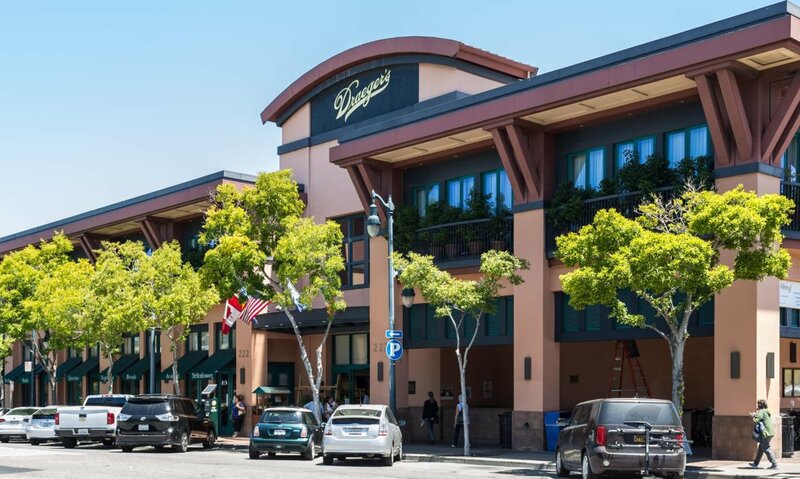 Part of San Mateos Ville Tellone, this intimate, gated community remains just minutes from downtown shops and dining, major highways and the Caltrain. 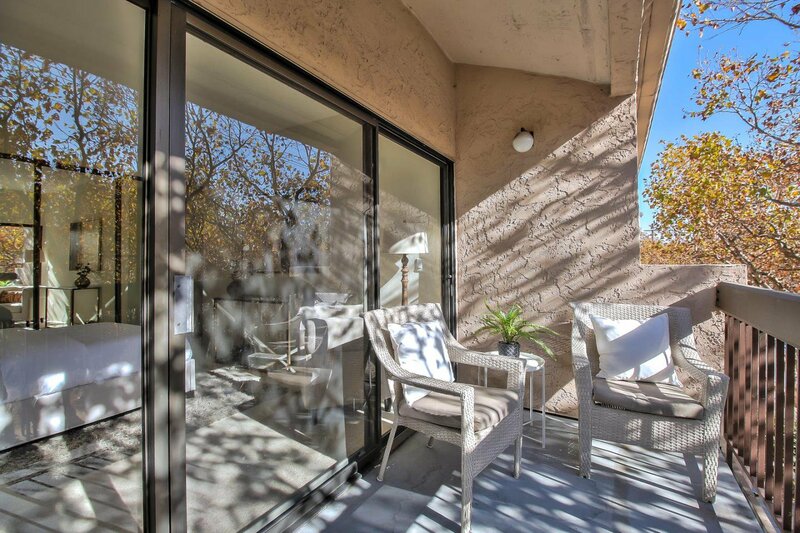 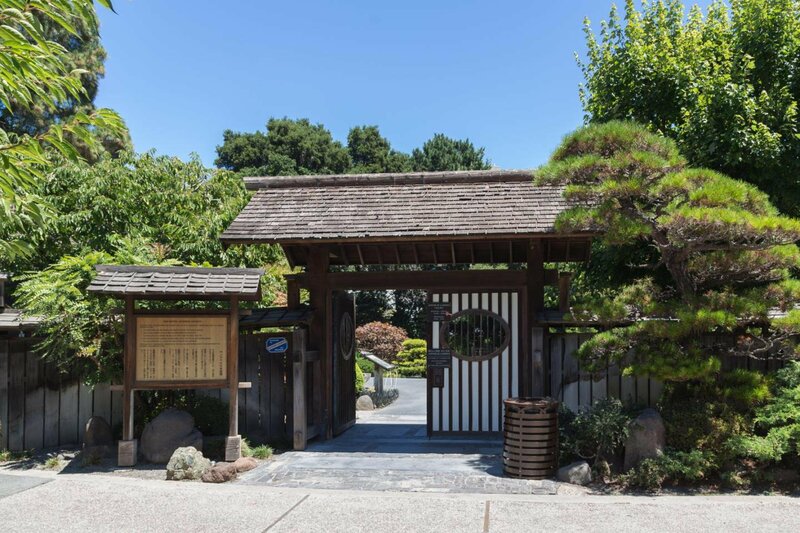 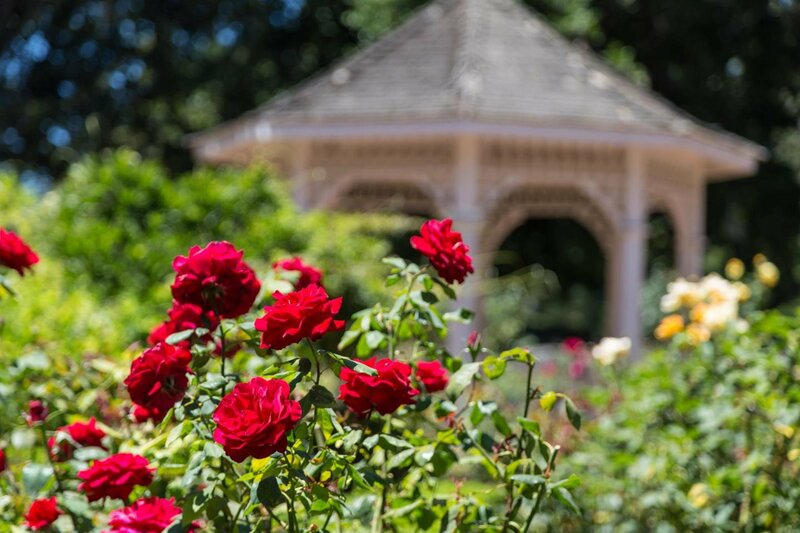 Steps from Central Park and its famed Japanese Garden too, the delightful location also enjoys a nearby playground and tennis courts.